My parents are officially retired, which means we get to see them a lot more. They are such amazing grandparents to our girls (and the rest of their 7 grandkids...a total of 10 with mine on the way). 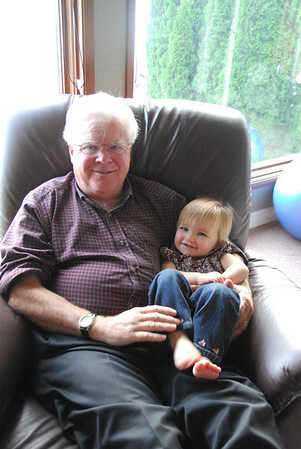 I love how Kenzie loves to curl up with grandpa.